From 10am to 5pm each day. 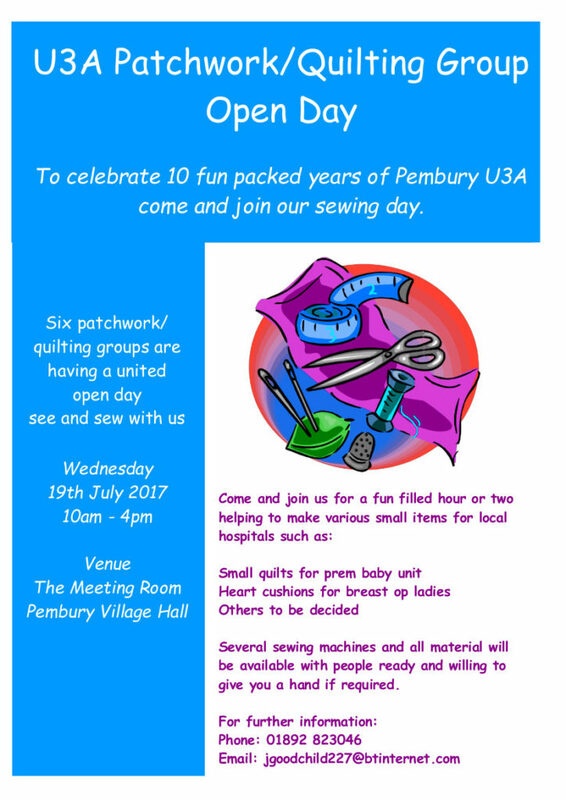 Free tea/coffee and cakes will be served. Cards will be on sale too. 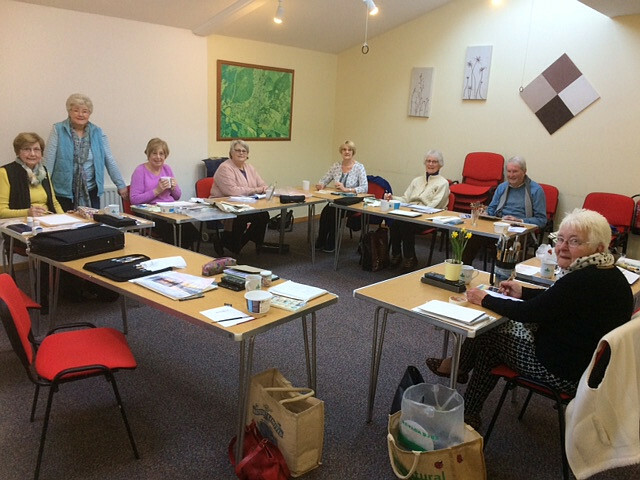 All the painting groups continue to meet twice a month. We have extended our painting from just watercolour to include pastels, pen and ink, acrylic as well as mixing them up to experiment. The groups also paint outside in the summer. Documents giving full details of the 2019 Summer School at Chichester University have now been published by the U3A SE Network and can be viewed and downloaded using the links below. The Italian group are offering to share their expertise by planning five sessions from January to March 2019 on the topic of ‘Holiday Italian’. These are aimed at those who may be planning a holiday next year and would like some encouragement about how to ask for a beer or a coffee or where the loo is? Or maybe some who would like to give learning Italian a try in a supportive and friendly environment. Participants would join the twice monthly sessions on Thursdays, each of which would be focused on a topic useful for travelers at a basic level. Just to let you know that the new address for the Third Age Trust will be 52 Lant Street, London, SE1 1RB. The telephone number 020 8466 6139 is unchanged. Have you ever wondered what happens to your domestic waste? Philip Murrell did wonder and he arranged the February monthly meeting of the Science and Technology group to find out more at a disused rag stone quarry next to the M20 motorway! Read on to find out more. Continue reading What A Load of Rubbish! The current trend for more and more organisations to operate mainly (or even exclusively) online means that we are forced to share some of our information via internet websites. Cyber criminals are keen to take advantage of this and we all need to be aware of the risks and how to avoid them. By observing a few fairly simple rules we can very much decrease our chance of being ‘hacked’ and bring us some peace of mind while operating online. A new website has been set up to highlight the work of the 30 U3A groups currently operating in Kent. It will also show details of Forum events etc. You can reach the website from the link in the content panel of our website.